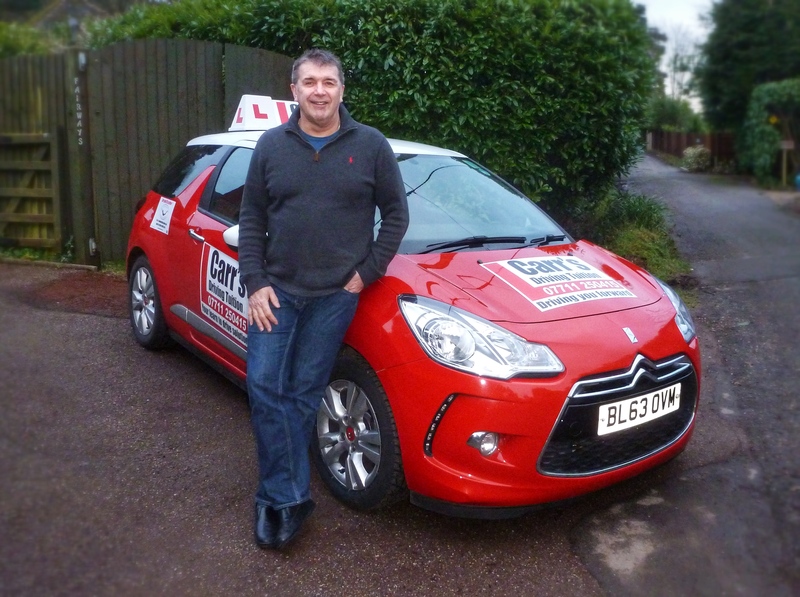 Owner of ADI franchise Carr’s Driving Tuition, instructor Paul Carr believes the best way to avoid falling into the trap of heavy discounting is by offering added-value to pupils. What motivated you to become an ADI? I spent 28 years with the John Lewis partnership, managing up to 300 people at a time, and wanted a job a little less stressful, believe it or not! I looked at different options, even travelling to a large franchise exhibition up in Birmingham. I saw what the AA was doing with its school and thought that I would like to do it – but on my own terms. What kind of ADI are you? I am very passionate about what I do. I enjoy my pupils’ company and motivating them to be the best they can be behind the wheel. I find being an ADI is not just about teaching them to drive though but also about getting to know the student. It’s a very social job and I think this is actually extremely important to the student’s future driving career – ultimately they will be driving on their own with other people who will be talking so they need to know how to concentrate on more than just driving when out on the road! Seeing students pass. It’s what motivates me every single day and I am very proud of what me and my drivers have achieved – and we can’t wait to welcome the next pupil on board. Many ADIs say that a negative aspect of the profession are instructors who constantly slash their prices. What do you think of ADIs who offer cutthroat prices? Well, they need to ask themselves if they really want to do their job for the long haul. If they don’t, then they should carry on the way they’re going because they’ll be out of business soon enough! But I think for the rest of us who actually want to stay in the industry, then don’t discount because it makes us look unprofessional and devalues the industry. – ADI Paul Carr of Carr’s Driving Tuition on the heavy discounting offered by some instructors. How did you set about combating heavy discounting? First of all, I looked at our demographic; the people we were actually teaching. The majority are young people so we’ve targeted 16-25 year olds by coming up with a unique set of offers. For instance, we have Theory Test Pro, a great bonus that’s included in the price of their driving lessons. I have also teamed up with a local health club chain who give my pupils free membership for the first month and then the next three months at half price. We also have a deal with local valet company ValetPro – our learners are given a free bottle of polish when they pass their test with a personalised note on the back congratulating them on passing. On top of that, we offer an extensive starter pack with handouts, record sheets and more. It really is a complete package. How do you promote these benefits to potential customers? 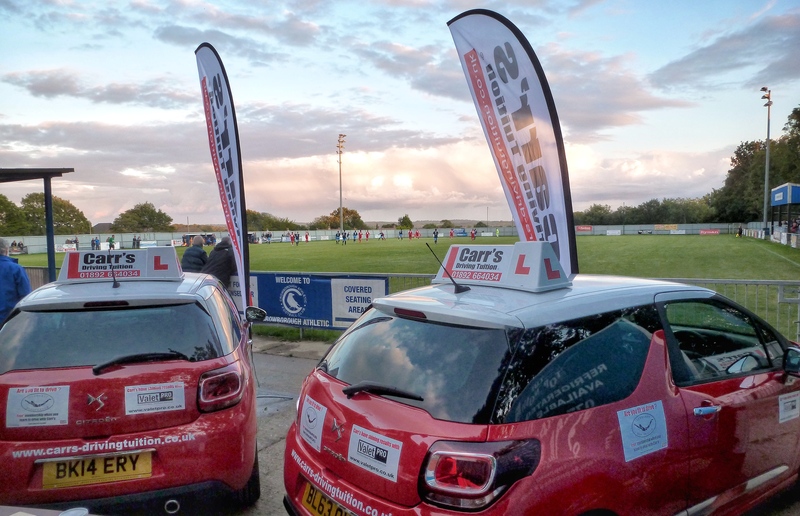 As well as taking up trade stands at summer fairs and other events to promote our business, we also sponsor the local football club and put the cars out on display inside of the stadium near the turnstiles, plus we also have sponsorship signs up around the pitch. It’s all important – we’re trying to move beyond ‘get your driving lessons here’ and give our potential customers a real experience. After all, qualifying as a driver is actually about a genuine lifestyle change. Do you believe your approach is key to beating the self-destructive discounting we see in the industry? Absolutely. It’s one of the key reasons I have taken such a different approach so we can face the threat of heavy discounting head-on. And it’s working – at the moment, we are looking at putting our prices up, not down. Look, I understand that it is a competitive market but I think when people grasp they get a quality driving lesson plus all our added benefits, what we offer is very appealing. It’s the complete package and more than any national franchise offers. How many instructors do you have at the moment? Four others plus myself, and one more who is currently in training who we hope will qualify shortly. I think being part of a franchise is critical because being an ADI can be isolating. It’s why we have regular meet-ups to talk about the business plus social meetings as well. Finally, what advice would you give to someone just starting out as an ADI? Make sure it’s what you want to do. Also seriously think about being part of a franchise if you can – not necessarily a big national, but one which is more local so you have backup and can enjoy a real sense of community with your colleagues.